Another great attraction is the victim of progress. One of my favorite rides at Disney’s Hollywood Studios is heading the way of America Sings – to the attractions graveyard. It’s not the first time a beloved attraction has disappeared for good, but unlike Tower of Terror, Country Bear Jamboree, or PeopleMover which have disappeared from the Disneyland landscape but still exist in Florida, this one has no parallel. 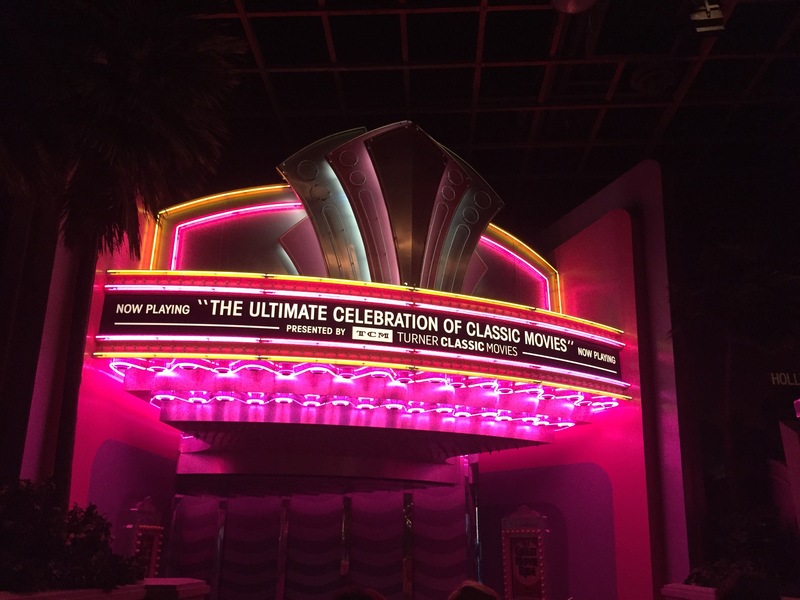 It is THE signature attraction at the studios, inhabiting the “castle” of the park – The Great Movie Ride. No other Disney theme park has a ride like it, and now none of them will. One of the few actual attractions at the park, The Great Movie Ride was a dark ride where guests would sit in a giant tram and journey through audio-animatronic scenes of classic films like Casablanca, Singin’ in the Rain, and The Wizard of Oz. Of course, there were a couple of Disney scenes included – Mary Poppins and Fantasia, but primarily it was a selection of films (primarily from then MGM Studios) that traversed movie history. Surprisingly, there wasn’t a scene from the two most iconic Disney films – the short Steamboat Willie and Snow White and the Seven Dwarves. Still the ride was engaging, mixing live actors with audio-animatronics and it was great when you wanted a break but still wanted to do something fun. At 22 minutes long, it was a nice way to avoid the Florida humidity. But now The Great Movie Ride will be replaced with Mickey and Minnie’s Runaway Railway – the first EVER Mickey Mouse featured attraction. It’s so weird that in the long history of Disney theme parks not one of the TWELVE around the world in all 60+ years has had a ride featuring the world’s most famous mouse. He has always had a significant presence in every park (in Shanghai Disneyland, their Main Street USA is even called Mickey Avenue), but no ride until now. An opening date hasn’t been announced, but this new featured attraction seems to be part of a significant overhaul of Disney’s Hollywood Studios in Orlando. After so many closings, now they are slated for an exciting slew of openings. Next year will feature the opening of Toy Story Land followed some time in 2019 (or later) by Star Wars: Galaxy’s Edge. But with so few open attractions in Disney’s Hollywood Studios, it seems like a down year for the park and an inopportune time to remove yet another attraction. There are still lots of entertainment options, but only 5 actual rides – Star Tours: The Adventure Continues, MuppetVision 3D, Toy Story Midway Mania!, Twilight Zone Tower of Terror, and Rock ‘N’ Roller Coaser starring Aerosmith. You could even argue that MuppetVision 3D is really a show and doesn’t belong on the list, but let’s give the park a break. Some of those rides are among the best Disney has to offer so the park is still worth it, but it is very lean compared to the other parks. The problem with an attraction like The Great Movie Ride is that it relies on outside influences. Contracts, licensing agreements, and the like are needed since the film properties belong to other people. That’s what happened with the original name for the park – Disney-MGM Studios. Rifts between the two companies made it easy not to renew the licensing deal, but things with Turner Classic Movies, who is the current sponsor and owner of most of the rights for the films being seen in the ride, seemed to be going strong and the revamp of the ride was only done a few years ago. 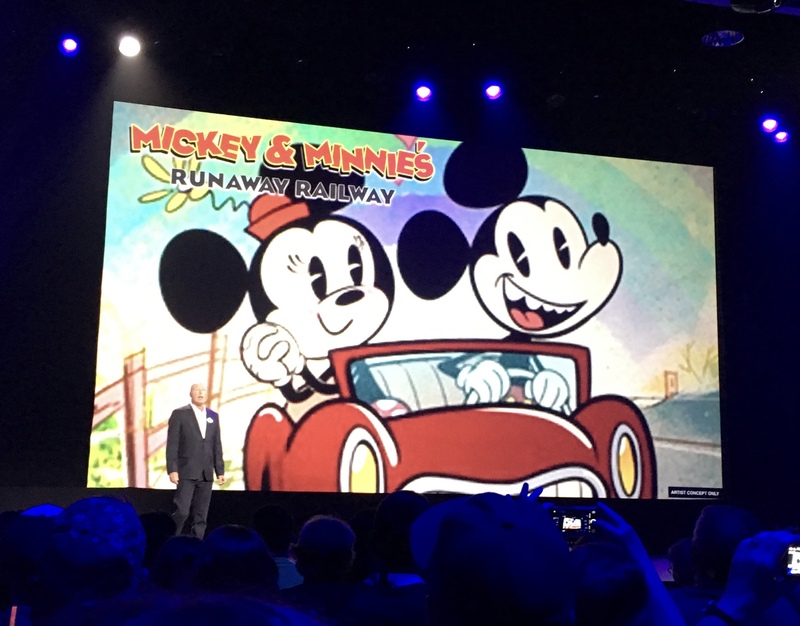 Still, when it was announced at D23 Expo 2017 that Mickey and Minnie’s Runaway Railway would be the first Mickey ride in any park anywhere, it was pretty much a done deal that The Great Movie Ride had run its course. I’m sad to see it go. It’s one of my favorites. True, it’s not a technological marvel and not very thrilling, but it’s creatively unique, fun to ride, a great escape from the Florida humidity, and a true homage to Hollywood. With Bob Iger announcing in 2015 that there would be a name change for the park, with the removal of all the remains of it ever being a studio (including the removal of the Studio Tram Tour), and with the addition of two new lands, perhaps the “Hollywood Studios” portion of the name no longer fits. Well, at least there’s still the Universe of Energy….wait, what? !